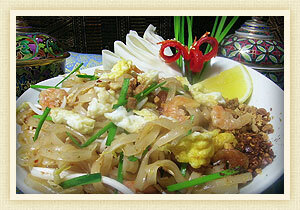 Our comprehensive menu offers well known dishes from all regions of Thailand plus our own unique house specialties. 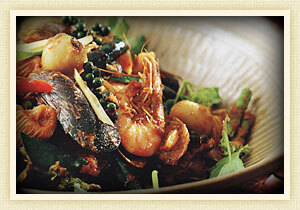 Sukhothai’s entrées range from $3 - $18 and our mains from $16 - $30. 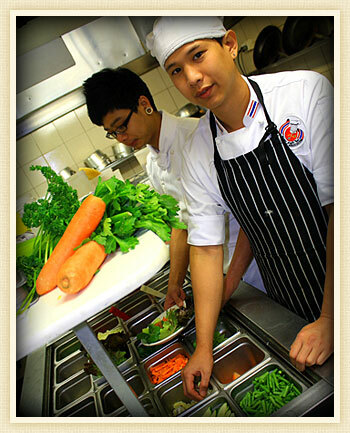 Below is a selection of our chef's specialty dishes. To view our full menu please download our PDF below. 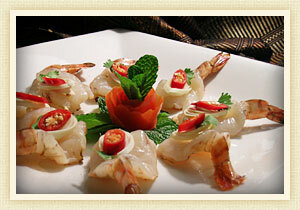 Sukhothai is fully licensed and stocks a range of local, Thai and imported beers, wines and spirits. BYO is welcome. You can enjoy Sukhothai Thai food in the comfort of your home, office or on the go by selecting from our extensive take-away menu. Download the PDF file below and call 03 9489 5551 to place your order. and call to make a booking. 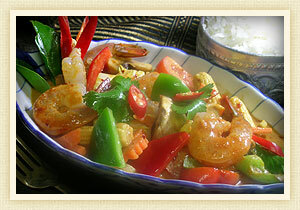 Tangy and aromatic prawn stir fry with galanga, lemongrass, mushrooms, tomato, vegetables and the wild herbs of Asia. 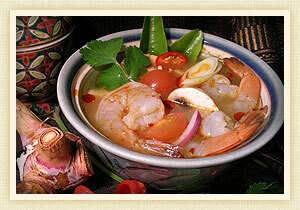 Prawn soup prepared with lemongrass, galanga, chilli, herbs, spices and fresh coriander. 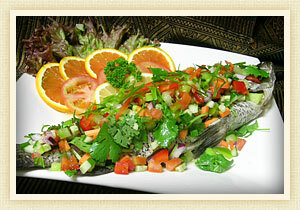 Steamed whole fish in a marinade of lemon juice, fresh garlic, chilli and coriander. 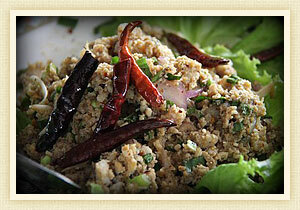 Sautéed minced pork seasoned with lemon juice, mint and chilli. 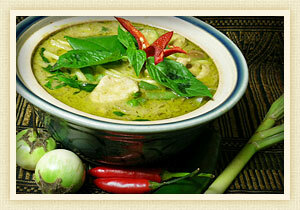 Traditional green curry cooked with fresh vegetables in coconut milk. of lemon juice, fresh garlic, chilli and coriander. 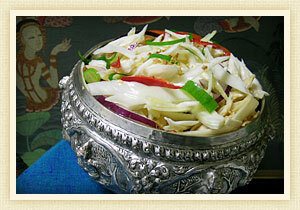 Banana flower with coconut milk, spring onion, crushed peanut, coconut, lemon juice, coriander, mint, and peanut sauce.